It's Leap Day… but the only leap that global stocks seem to be making is down a hill. Stocks are under pressure during this final day of February after the G20 meeting concluded on Saturday with no plan by global financial leaders to spur economic growth. Meanwhile, the markets don't seem to like the fact that the Federal Reserve is hell-bent on raising interest rates by the end of 2016. With central bankers causing so many headaches this morning, let's tackle your top Dow Jones Industrial Average news, stocks to watch, and economic calendar for Feb. 29, 2016. Futures for the Dow Jones today forecast a 28-point decline. Here's a breakdown of why the Dow is off this morning. To day, the focus is on a relatively light, but important, economic calendar. Pay attention to the Chicago PMI, which is notorious for its back-and-forth volatility. Meanwhile, the monthly pending home sales report is a critical indicator to the health of the U.S. housing sector, which has been seesawing over recent months. Gold prices are on track for their best month in nearly four years, as investors seek protection from a slew of bad decisions by central bank leaders around the world. 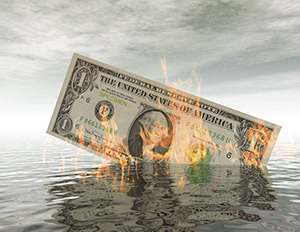 With more than 500 million people now living in nations where interest rates have gone negative, investors are finding gold to be one of the most reliable ways to avoid punishment for just keeping their money in a bank. In fact, problems are so bad in the European financial sector that Europe's most troubled bank – Deutsche Bank AG (NYSE: DB) – recommended gold to investors on Friday as a way to combat uncertainty in the global financial system. This would have been funny if it weren't so disturbing, given that this bank is responsible for many of the problems against which they recommended gold as a hedge. Traders are on edge about the potential interest rate hike later this year. The markets will pay attention to a speech today by New York Fed President William Dudley, who will attend a monetary policy conference today in China. Federal funds futures implied traders project a 38% probability that the Fed hikes rates by June, according to CME Group's FedWatch. That number climbs to 57% in December. As Money Morning Global Credit Strategist Michael Lewitt explains, whatever the Fed decides to do will only accelerate the bear market in the future. Last week, markets finished up on the week but mixed on Friday… The Dow fell 56 points as investors remain focused on the upcoming decision by the FOMC on interest rates. Oil prices ticked higher this morning as some traders remain convinced that crude has hit its bottom. Speculation continues over whether OPEC and other producer nations will be able to maintain an accord to freeze production levels in order to find a support level for prices. 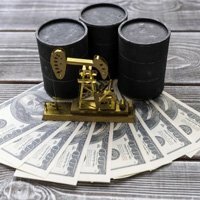 However, U.S. shale producers have made it clear that the moment prices tick above $40 per barrel, they will begin to ramp up production once again. It was not long ago that our Global Credit Strategist Michael Lewitt recommended shorting shares of Valeant Pharmaceuticals International Inc. (NYSE: VRX) over concerns related to its leadership and problems related to its marketing and sales practices. Michael's been right about this company, which again saw shares decline another 6% in pre-market hours after announcing a delay to the release of its quarterly results. In addition, the firm said that its CEO is planning to return from medical leave after a bout with pneumonia. On the earnings side, shares of Lumber Liquidators Holdings Inc. (NYSE: LL) are in for a bad day after reporting a much larger quarterly loss than Wall Street had predicted. Later today, watch for reports from 3D Systems Corp. (NYSE: DDD), Crocs Inc. (Nasdaq: CROX), and Workday Inc. (Nadsaq: WDAY). Over the weekend, Warren Buffett released his annual shareholder letter to investors of Berkshire Hathaway (NYSE: A). In his letter, Buffett took a very bullish stance on the U.S. economy, writing, "America's golden goose of commerce and innovation will continue to lay more and larger eggs." On Monday, Buffett defended his firm's 8.59% stake in global technology giant International Business Machines Corp. (NYSE: IBM), which has seen its share price erode over the last four years and fall 18.5% in the last year alone. Buffett also added that he is concerned about negative interest rates in Europe, adding that his firm is better off putting money in a mattress than holding billions of dollars in a European insurance company.